This stunning guest house is situated in the desirable town of Wrexham, North Wales. The business enjoys the superb area surrounded by a wealth of residential properties, complementary businesses, and travel and parking facilities, these are all beneficial as they generate much of the businesses trade. Chester can be reached just 5 minutes by car, while Wrexham FC’s football ground, Glyndwr University and Cambria College (Yale Campus) are less than a 20 minute walk away. Both Bangor-on-Dee and Chester racecourses are also 5 minutes’ drive from the guest house. The guest house is only a short walking distance to Wrexham Town Centre and all of its main attractions and facilities. The town is easily reached via the A5152 off the A483 making commuting easy for all those who wish to visit. 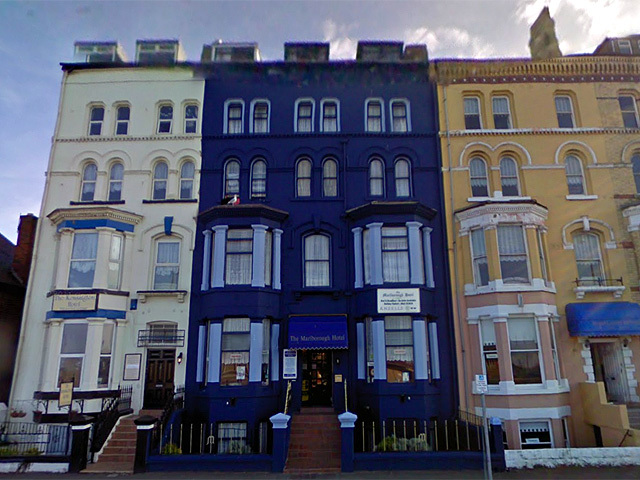 Meridian Business Sales are honoured to offer to the market this fantastic guest house which has been established for over 30 years and in the careful hands of our client since 2014. The only reason this excellent business is being offered to the market is due to our clients desire to take a well deserved retirement. Since our client took ownership of the business she has built up a strong reputation within the local community and as such has a high level of regular and repeat trade. Our client offers guests a warm and friendly welcome, providing first class rooms for everyone who wishes to stay. Our client informs us that the business generates a respectable annual turnover which is derived from the high quality rooms provided, the delicious breakfast menu and the tremendous services provided. Breakfast is available Monday to Friday from 8:00am-9:00am and on Saturday, Sunday and Bank Holidays it is available from 8:30am-9:30am. The breakfast menu ranges from cereals, toast, beverages, de-caffeinated coffee, English breakfast tea and much more. There are 19 letting rooms within the guest house all which are comfortable rooms with modern décor throughout. All of the rooms are en-suite with showers and a WC. The guest rooms provide free Wi-Fi access, LCD flat screen TV, chairs, tea and coffee making facilities with a biscuit, sweets, magazine, bottled water, tissues, towels, iron board and iron on request, hair dryers, desk area with seat and lighting, shampoo and soap is complimentary placed in guest rooms and there is velux windows with push bar close action with hold open locks in the first floor guest rooms. Our client has devoted her full dedication into making the business a success. A large amount of time and money has been invested, providing the premises with all of the necessary fixtures and fittings along with traditional décor throughout. This is an outstanding opportunity to purchase an established business which is a great base to build upon, and as such early viewing is strongly advised as this business is not to be missed.